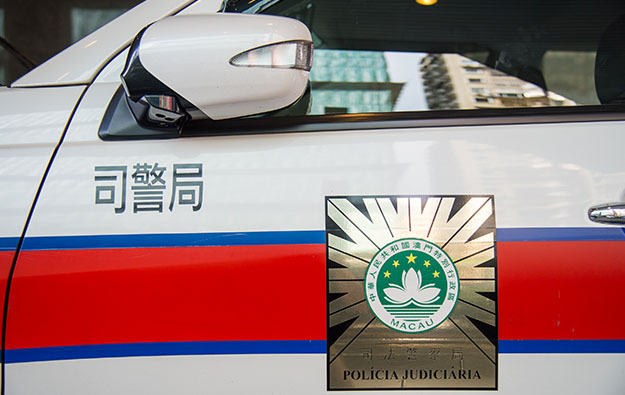 Macau’s Judiciary Police say authorities will pay close attention to what they term “potential” risks to the city’s security related to the upcoming casino concession refreshment process. In a press statement issued on Thursday, the force added that the number of casino crimes recorded yearly had again increased in 2018. The body did not elaborate on how the process to issue fresh Macau gaming rights might affect the city’s security. The statement was issued following a gathering involving officials from the Judiciary Police and local media representatives. During the event, Judiciary Police Director Sit Chong Meng mentioned the force’s concerns regarding a potential negative impact on public security arising from the casino concession refreshment process. The current Macau casino concessions expire on various dates in either 2020 or 2022. First to end are the respective current licences of SJM Holdings and its sub-concession, MGM China Holdings Ltd, set to expire in March 2020. It is been widely anticipated in the market that the two firms will seek an initial two-year extension to 2022 of their contracts. Macau government officials have been non-committal when quizzed about the possible refreshment of the city’s six gaming concessions. The government commissioned in 2017 two studies on the possible development of Macau’s gaming sector in the period between 2020 and 2030. The studies were due to be ready within the third quarter of 2018 but their completion has been delayed, the city’s Economic Bureau confirmed to GGRAsia. Macau recorded a total of 5,014 cases of suspected gaming-related crime in full-year 2018, according to data disclosed on Thursday by the Judiciary Police. The figure represented an increase of 6.4 percent compared to the 4,714 such cases in 2017. The Judiciary Police label cases as gaming-related when they take place inside a casino or in its surroundings. The number of gaming-related crime cases had increased by 2.4 percent in 2017. Gaming-related cases of suspected usury – i.e., unlawful lending of money, a practice more commonly known as loan-sharking – increased last year by 29.4 percent year-on-year to 554, the police data showed. In 2018, a total of 308 cases of gaming-related suspected unlawful detention was recorded, reflecting a one-third decline in year-on-year terms. Such cases are typically associated in Macau with loan-sharking connected to gambling. Commenting on the overall decrease in cases of gaming-related suspected unlawful detention in Macau last year, the Judiciary Police stated it was related to efforts to curb loan-sharking activities. This had in likelihood reduced the number of scenarios where indebted gamblers were held unlawfully by their purported creditors. The force highlighted the arrest in June last year of 113 people allegedly involved in a long-term loan-sharking operation targeted at people gambling in the city’s casinos. The enforcement action was described at the time as the largest number of arrests in Macau for a single case since the handover from Portuguese administration in 1999. Another large-scale alleged loan-sharking syndicate operating in Macau was disrupted in October by police action, the force’s press release said. In addition, the police had also been stepping up enforcement against illicit money exchange services, particularly in the surroundings of city’s casinos, the note added. Macau’s accumulated casino gross gaming revenue (GGR) for full-year 2018 increased by 14.0 percent compared to 2017, according to data released earlier this month by the city’s regulator, the Gaming Inspection and Coordination Bureau. It marked the second year of GGR growth after three consecutive years of annual decline, between 2014 and 2016.